The Dane County Criminal Justice Council and the National Council on Crime and Delinquency (NCCD) have partnered to improve the criminal justice system through data sharing and analytics. The NCCD has assisted the CJC in the development of an exploratory memorandum of understanding (MOU), strategic work plans, technical support, and determining markers of success. Here is the February 2018 progress report. For a number of years, the Dane County Criminal Justice Council, criminal justice stakeholders and community advocates have sought greater data analysis capacity. Those efforts are detailed in Dane County Criminal Justice Mapping with the Center for Effective Public Policy (2013) and, in 2014 Dane County Resolution 556. Resolution 556 developed three workgroups designed to address racial disparities, length of stay issues, and mental health challenges in the Dane County Jail. A top priority of all three workgroups was resource development around data. The workgroups urged Dane County leaders to take immediate action to increase capacity to collect, monitor, analyze, and produce data disaggregated by race, gender, and ethnicity. The Dane County Criminal Justice Council (CJC) seeks to establish a data-sharing platform among criminal justice agencies in Dane County, Wisconsin. Analysis of the data provided by participating agencies will support CJC’s work to improve the criminal justice system in Dane County. Before a data-sharing platform can be established, an exploratory analysis must be conducted to: determine the feasibility of sharing data between the participating agencies; perform initial cross-agency data linking and analysis; and identify database gaps and needs. To perform the exploratory analysis, the CJC Research Analyst will access administrative data collected and maintained by the participating agencies to determine whether the participating agencies are able to track individuals across systems for a period of time. One key component in addressing the data needs is an agreement to share data across the multiple agencies. The Dane County Criminal Justice Council is finalizing the “Data Use Agreement for An Exploratory Analysis of Cross-System Data-Sharing Feasibility” (Agreement). This is made and entered into by and between the Dane County Criminal Justice Council (CJC) and the following participating agencies: the Dane County Sheriff’s Office, the Dane County Office of the District Attorney, the Madison Police Department, the Dane County 5-City Consortium, the Dane County Clerk of Courts, and the Dane County Circuit Court Judges. In 2016, the Dane County Criminal Justice Council proudly announced their partnership in the White House-led effort to embed data and analytics into criminal justice reform. 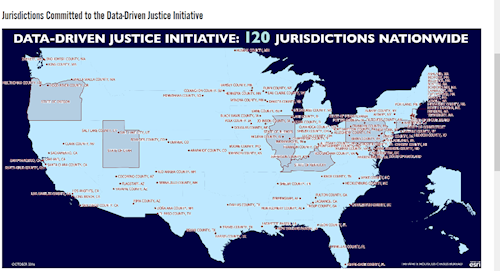 In June 2016, the CJC joined a national cohort of over 120 communities who are participating in the White House Data Driven Justice (DDJ) Initiative. The DDJ Initiative works to support communities who want to use data to be smarter about diverting people with mental illness away from the criminal justice system and into community-based treatment. Using evidence-based, objective, risk-based assessment tools in pretrial assessments. This will allow individuals who are considered low risk defendants to be safely released from jails. DDJ jurisdictions participate in regular calls where they share with each other best practices and discuss common challenges. In 2017, the National Association of Counties (NACo) and the Laura and John Arnold Foundation will be carrying the work of this initiative forward. Dane County and other participating jurisdictions also gain access to the range of resources committed by technology companies, philanthropies, and non-profit organizations toward improving the criminal justice system. In March of 2017, Dane County became one of twenty jurisdictions to join the Safety and Justice Challenge, an initiative dedicated to reducing over-incarceration throughout the country. The Challenge seeks to accomplish this through changing the way the United States thinks about and uses jails. Along with other jurisdictions, Dane County will design and test innovative local justice reforms with the support and the technical assistance from the Challenge's Innovation Fund, which will safely reduce jail usage and reduce racial and ethnic disparities in the local justice system. 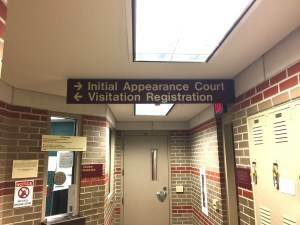 Dane County has chosen to focus its efforts on the expansion of the Community Restorative Court (CRC) to a countywide initiative. The CRC is a community program that accepts referrals from law enforcement and the District Attorney for individuals within the age range of 17 and 25 that have committed a low-level offense in an effort to avoid this group's involvement in the criminal justice system and to reduce recidivism. The CRC engages these individuals in alternative sanctions, such as community service and restitution, which is determined through working with community peacemakers. The Dane County Criminal Justice Council has launched a pilot project to apply a data-driven assessment to reduce costly jailing of low-risk offenders. In December of 2016, Dane County began the implementation of the Public Safety Assessment (PSA), a risk assessment tool developed by the Laura and John Arnold Foundation used at initial court appearances to make accurate, efficient, and evidence-based decisions on whether a defendant should be detained prior to trial or released to the community. The PSA is a nationally-validated, race-neutral instrument currently in use in 30 other jurisdictions. The PSA will be fully implemented in Dane County starting February 2017. Dane County’s use of the PSA will be evaluated by Harvard University’s Access to Justice Lab in a multi-year, randomized control trial. The Dane County Criminal Justice Council is the FIRST COUNTY in the United States to partner with Harvard University's Access to Justice Lab for an intensive, multi-year study of the PSA and outcomes. Outcomes measured will include: length of stay, racial and ethnic disproportionality, and cultural shifts within the criminal justice system. The Dane County Criminal Justice Council, as well as the 2015 Criminal Justice Workgroups, strongly recommend increasing implicit bias training for criminal justice stakeholders. The CJC has won multiple grants to bring additional implicit bias training to Dane County criminal justice stakeholders. In November 2016 local police departments in Dane County received implicit bias training to address racial bias in the criminal justice system. The program aims to discuss how stereotypes influence human behavior in an effort to better inform policing practices. After listening to a presentation about the role of bias and anxiety associated with race from Rachel D. Godsil, Director of Research at the Perception Institute, law enforcement employees gathered to discuss strategies to counter stereotypes. The training was hosted by the Dane County Criminal Justice Council, Dane County Sheriff’s Office, and the Madison Police Department. In October 2017, Dane County was awarded a second grant to continue the learning effort and expand the audience to include more criminal justice stakeholders. Training was also held in December 2017 for all interested Dane County law enforcement, juvenile justice front-line leaders, judiciary, prosecution, and defense stakeholders. On December 14th, 2017, the Criminal Justice Council partnered with the Perception Institute to a lead a community conversation on implicit bias and racial anxiety, funded by the Department of Justice and coordinated by Jerrett Jones of PUblic Health Madison and Dane Conty and Colleen Clark-Bernhardt of Dane County. The Perception Institute is an organization based in Washington, D. C., that is dedicated to using research to help reduce bias and discrimination. The conversation was held at the Fountain of Life Church, where national experts led a workshop followed by scenarios presented by the Madison Police Department outreach team.